Been daydreaming about traveling to see family and enjoy local events across the country. 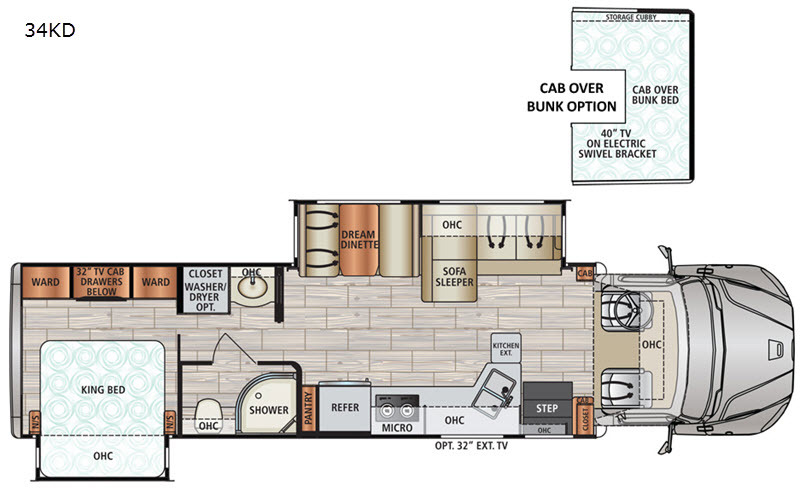 This coach offers luxury like at home and allows you to travel in comfort to any destination. Just imagine making meals in the kitchen with a gas range, a convection microwave and a residential refrigerator. You can eat your meals while relaxing on the sofa sleeper or at the Dream dinette. 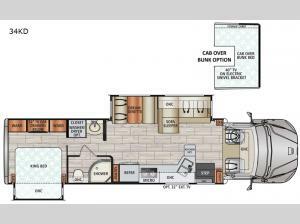 The furniture also doubles as sleeping space when needed, and you can add the optional cab over bunk if you expect to take the grandkids with you. You will find several more features you can't travel without such as your own king bed, a 40" LED TV, and radius shower, take a look!